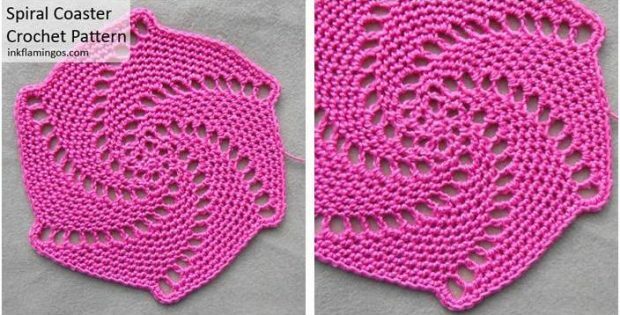 Prettify your home with these awesome spiral crocheted coasters. The fascinating crocheted pieces will protect your furniture while you enjoy your drink. They also make for a totally thoughtful present to bring to a friend’s housewarming party! Craft them in their fave colors for a personal touch. The pattern contains detailed written instructions for one size. As always, you can tweak the directions to make the crocheted coaster any size you desire. In fact, you can access the FREE pattern for these pretty crocheted coasters from the Ink Flamingos website. Featured image: Ink Flamingos/ Nicola Schofield – thank you!